Sequoia is a unique blend of Oak Moss, Pine Needles, and a touch of Spicy Vetiver. This is one of our favorites. Sequoia National Park is one of our favorite places to enjoy the great outdoors. It’s unique and vast landscape is thought provoking, humbling, and shows us fresh new scents upon every visit. These combinations of scents have been chosen to best emulate a trip to Sequoia National Park. Sequoia is one of my favorite scents. The smell of this candle burning and a nice glass of California cab is the perfect way to unwind after a stressful day of work. It smells clean and fresh and reminds me of the great outdoors. A very peaceful scent. It also burns great every time you light it. This one is definitely my favorite! It’s a very comforting scent that is a perfect mix of masculinity and being home. Very smooth wax and an attractive little package as well. 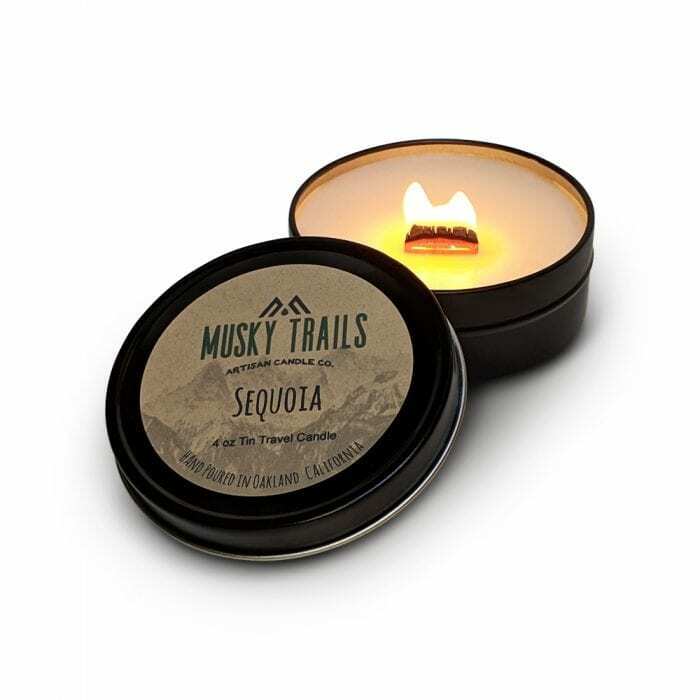 I’ve been burning the Sequoia candle every night. After studying long hours for my medical classes, your candle helps me relax before I get a few hours of sleep. Just bought one for my mom and she really likes it. I saw you guys through an advertisement and thought the candles looked unique. Glad I found you all! Thanks!